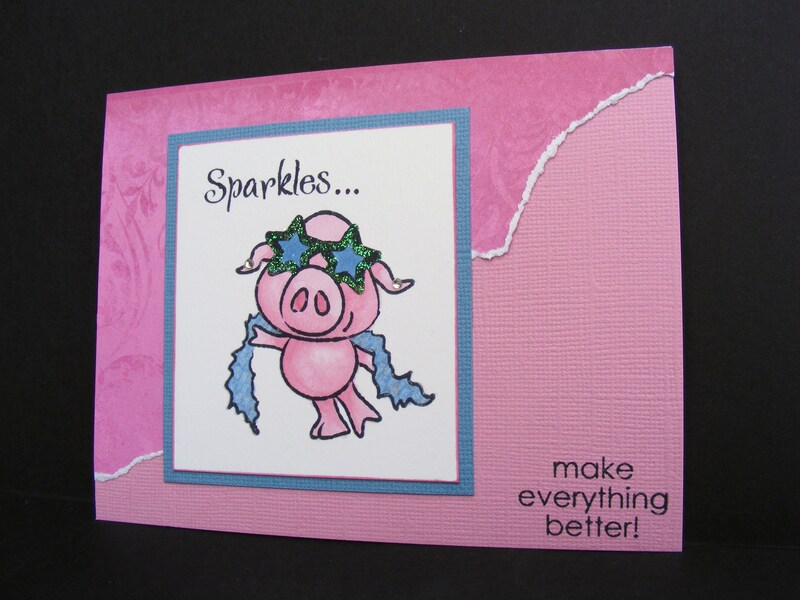 I used The Angel Company’s stamp set When Pigs Fly and colored it in with set A of the Copic Caboodle markers. I finally got a set LOVE them. I should have gotten them sooner. They are so versatile and the blender pen is the best. 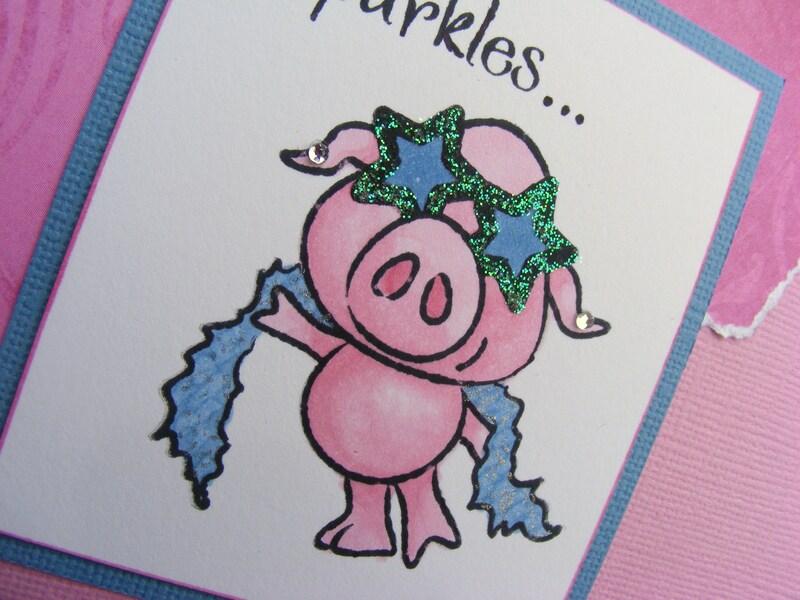 To add the finishing touches I used ice Stickles around her glasses, self adhesive rhinestones for earrings and a Stardust Gel Pen to accent her boa. Merry Christmas, everyone!!! I hope you all are enjoying your day with your family and thanking God for all of your blessings. 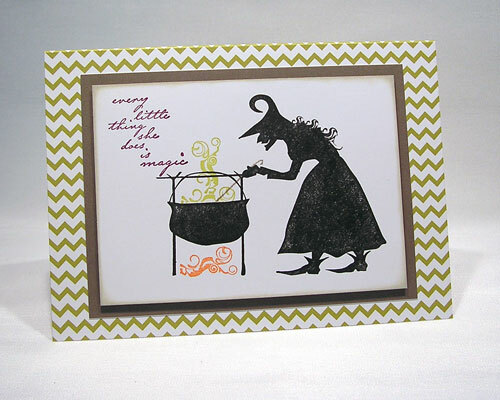 Here is another project from guest artist, Jennifer Edwards. 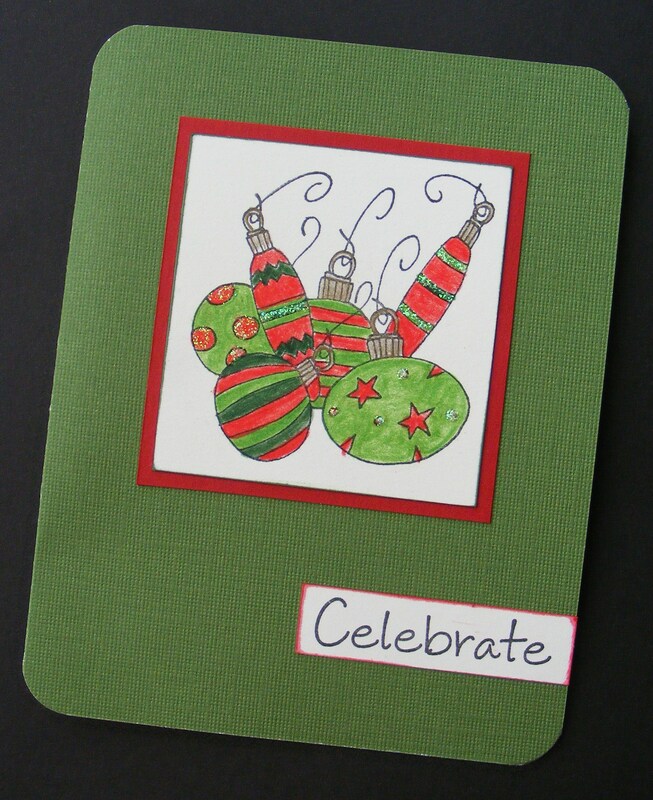 It is a sweet and simple card, easy to make. There is minimal coloring needed for these snowmen and women. 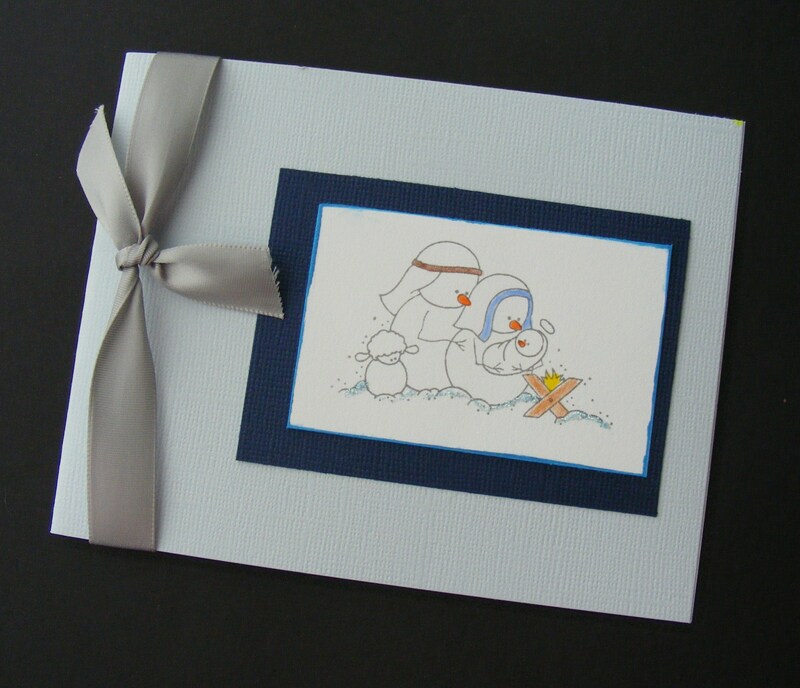 The ribbon and the touch of blue Stickles is just enough to make it “POP”. The inside message reads, “For unto you is born this day in the city of David a Saviour, which is Christ the Lord”. It has been such a long time since I posted. The last 3 months of my life has been so hectic. But a new year is coming and I am promising to make this next year a little less chaotic and a whole lot more peaceful. Why wait for January 1st? There is no better time to start then the present. 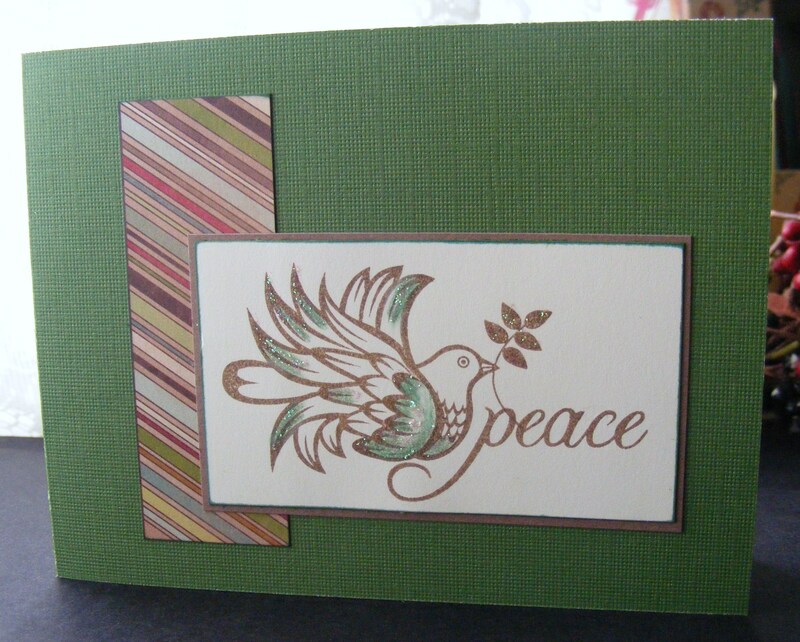 So to kick off this “new” outlook I wanted to showcase the “Peace” Christmas card I created. It is very simple and easy to make. The little added areas of crystal Stickles gives it all the pizazz it needs.